Hope that you've had a wonderful weekend. It's time for another BnW Challenge - this time hosted by our supertalented Audhild. Before showing you my card - I would just like to remind you to check the BnW Challenge Blog - to see if you maybe made it to our TOP3 or not. Well - over to my card - the challenge this time is VINTAGE. I must confess - this is a style that I'm not too comfort with. I love it - but have a hard time getting the Vintage look. Anyway - here's my attempt - showing the cute Cupcake. She's coloured with copics. I used my Tim Holtz distresser and crackled paint for the edges. The wonderful DP is from SCACD - and called Once upon Springtime. I added flowers and here you have it. This time I coloured cute little Peggie from InStyle Stamps. Isn't she a cutie! Well - hope you like it and as always - your comments are so much appreciated. I do hope that I will get more time to be able to visit your blogs soon. It's Monday and I've decided to actually use up one DP at the time - not leaving me with that many scraps. And boys really do look good in pink - don't you think? Well - here's a card with the Candy Tree DP again. Coloured cute Jacob from InStyle Stamps with my copics. I went for a very clean layout - 1 DP and several different layers - in matching colours - of cardstock. Computer generated sentiment and 3 matching mini buttons. 1. Elin - and her motivation to why she would like to test Cliniderm: "Min hy har med åren blivit känsligare för dessa kalla, torra vintrar, men det är svårt att hitta bra produkter som verkligen hjälper. Just nu är jag mitt uppe i renovering och målning av vår nya lägenhet och när allt fokus ligger på vilken färg väggarna ska ha och var möblerna ska stå, har jag märkt hur lätt det är att glömma bort att sköta om huden som blir snabbt blir torr och fnasig. Jag är väldigt nyfiken på att testa om Cliniderms produkter kan hjälpa mig hålla huden ung och fräsch!" 2. Cathrine - and her motivation: "Du skulle se min hud just nu. Så torr o förstörd att den svider. Dumma väder! Så jag hoppas verkligen produkterna är som de säger - anpassade för det nordiska klimatet så min stackars känsliga hud kan få lite hjälp!" 3. Malin - and her motivation: "Jag har testat massvis med produkter och lagt ner massvis med pengar på min hy... den påverkas jättemycket av klimatet här och blir liksom yttorr (speciellt på vintern). Jag tycker inte att något har funkat hitills. Jag skulle jättegärna vilja vinna det här kitet eftersom att det skulle ge mig en chans att få testa Cliniderm - så att jag kan se om det funkar på mig utan att behöva lägga ut en massa pengar på själva testandet!" 4. Secret winner - Hemlig vinnare - I have picked a secret winner who will receive this little suprise package in their mail. Just a quick post from me on Saturday morning! 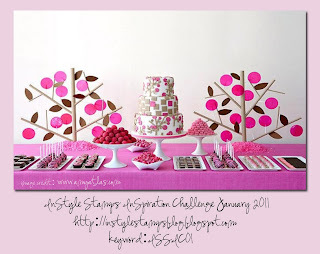 Have you seen the new Inspirational Challenge over at InStyle Stamps? If not - here's the inspirational pic. Sentiment is computer generated by me. Added just some pearls and a big rose. I really wanted supercute Bella to be in the center. Coloured her with my copics. Hope that you are going to have a wonderful weekend. I'm just writing up a very quick post - since I better start prepare the dinner for tonight when we are having friends over. Excited to see them again. Here's the card that I wanted to show you today - where I use Fairy Queen for my image - one of the beautiful images illustrated by the supertalented Carmen Medlin. Coloured her with my copics. DP from SU. Wanted to practise more to use softer colours. Those of you that know me - know that I love red and bolder colours ;-) But I'm actually very pleased with the result - so you might see me using softer colours more often. Added a few pearls made with my Viva pens. Punched out a few branches with my Martha Stewart punch and added a few flowers. I didn't want to add too many embellies - since I love the DP and want the beautiful Fairy Queen to be in the spotlight. Kramis and have a wonderful weekend everyone! It's time for me to show you my very first project as a Chickie for InStyle Stamps. The image that I want to show you is called Asia - isn't she a darling? I printed her out on Neenah Crest paper. Then I coloured her with my copics (scroll down to see what copics I've used). I wanted to create something special to go with the card - and I decided to use the template So Fortunate - that I purchased from My Time Made Easy. I decided to go with mainly pink - and actually used the last scraps from my X-mas DP Candy Tree from the Swedish company Inkido. I wasn't sure if I should add anything more - but then I decided to not overdo it - just add the matching DP, some pearls, ribbon, flowers and a cute little butterfly. I used the same DPs for my card as well as the ribbon, flower and pearls. 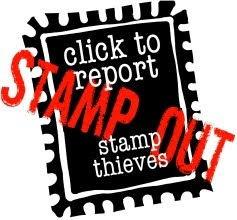 Hope you like her and make sure that you pop over to the InStyle Stamps shop and blog. Always a lot of fun inspiration challenges, sketch challenges and colour challenges going on. 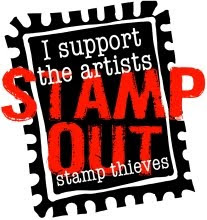 You also find InStyle Stamps Facebook page HERE. Anyway here's one of the results from my "get into the Spring/Summer mood feeling" - Julia. Coloured her with my copics. And then I only added a ribbon and a few pearls - since I wanted the lovely DP and the image to be in the center. Here's my card for the challenge - using Kitty Love. Please join us for the challenge - and if you want more inspiration before you start - pop over and check out what the rest of the BnW ladies have been up to. Coloured Merry Sledging with my copics and made a little "mini card". DPs from my local craft shop as well as the pearls. Looking fwd to see you here tomorrow again - because then it's time for a new BnW Challenge. Happy Sunday everyone!/Trevlig söndag till er alla! Today my post is going to be a little different. Idag är min blogpost lite annorlunda än vanligt. Some of you might know about Buzzador - if not - then you can read more about it/ En del av er har kanske hört talas om Buzzador -om inte så kan ni läsa mer om det HERE. * Ideal Balance Skin Tonic, 5ml. So what do you need to do in order to participate? Well - you need to answer the following 2 questions and then motivate with a short comment why you should win one of these 4 gift boxes. /Så vad behöver du göra för att delta? Jo - svara på följande 2 frågor och motivera varför just du skall vinna. 1. Cliniderm carries 3 products for eyes/lips - what are the names of these 3?/Cliniderm har 3 ögon & läpprodukter - vilka är namnen på dessa? 2. What's the name of their nightcream?/Vad är namnet på deras nattcreme? You have until January 22nd to send me your answers by email and I will pick the lucky 4 winners January 23rd! Ni har t om den 22:e på er att mejla mig era svar. Jag utser 4 lyckliga vinnare den 23:e januari! 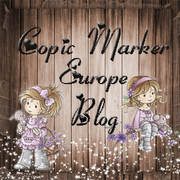 Feel free to tell your blogreaders about my little contest./Sprid gärna till era bloggläsare om min lilla tävling. Have you taken down your X-mas decorations yet? We'll do so next week - since we have a saying in Sweden "20:a Knut dansas julen ut" = When Knut has his nameday - then we dance the X-mas away (= January 13th). I can't believe it how fast the X-mas holiday went - and now we are moving very fast towards Valentines day. That's what gave me the inspiration to create a little mailbox for either love letters or some sweet treats for that special someone. Template is from My Time Made Easy. I needed to create a matching card of course and decided to use one of my very first illustrations that turned into a stamp thanks to Susana - Emilia with heart. Hope you like it and once again - have a fab weekend! Hope you are going to have a wonderful weekend. We have tickets for Disney-on-ice on Sunday - can't wait to see it and see Isac's reaction as well. He just loves all the Disney characters and who doesn't??? 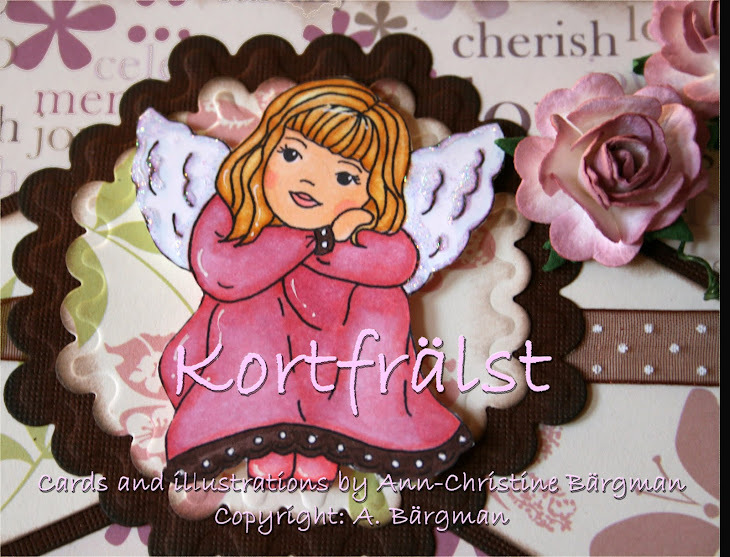 Anyway - here's a little short post from me - showing one of the cuties from the Forever Young Collection - Sweet Dreams. Isn't she adorable? It was a challenge for me to not colour her in red ;-) - so I picked out some of my new SU DPs (Thank you Elizabeth) and coloured her in matching soft colours. I'm actually very pleased with the result. Only added a few pearls - since I wanted the image to be in focus as well as the DP. The very first BnW Challenge for 2011 is here! Hope that Santa has found you all with a lot of crafty goodies so that you can play with us in our very first BnW challenge for 2011. Our first host is the supertalented Kathy and she wants to see Snowflakes on you project/card. Punched out a lot of snowflakes and added a small lace as well. Hope you like it and take the time to play with us! Hope you're very first day in 2011 have been a great one. 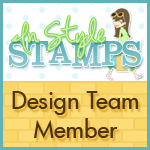 Today I can finally share some exciting news with you - I've been asked to join the InStyle Stamps Design Team!!! Kram and I'm soo looking fwd to work with you all!